A Great Gift Idea For Dads And Grads! 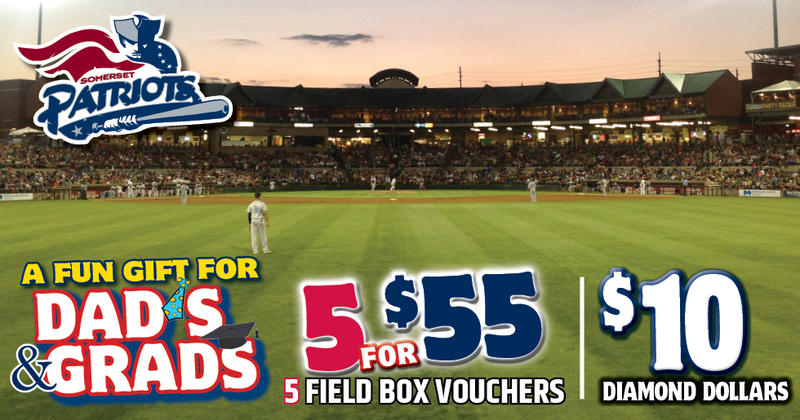 The Somerset Patriots are offering a Fun Gift idea for Dads & Grads! With Father’s Day and Graduations right around the corner, get a gift that they’ll enjoy and remember! The 5 For $55 Package Is Available from now until June 16th!